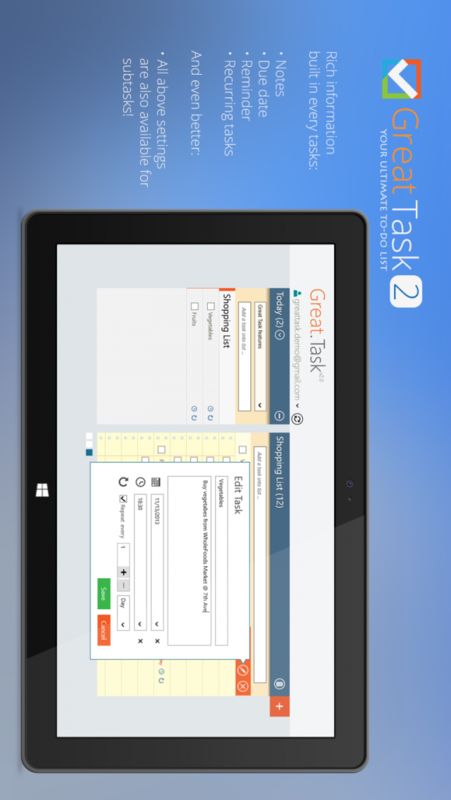 Great Task is an ultimate to-do list management application for Windows 8. 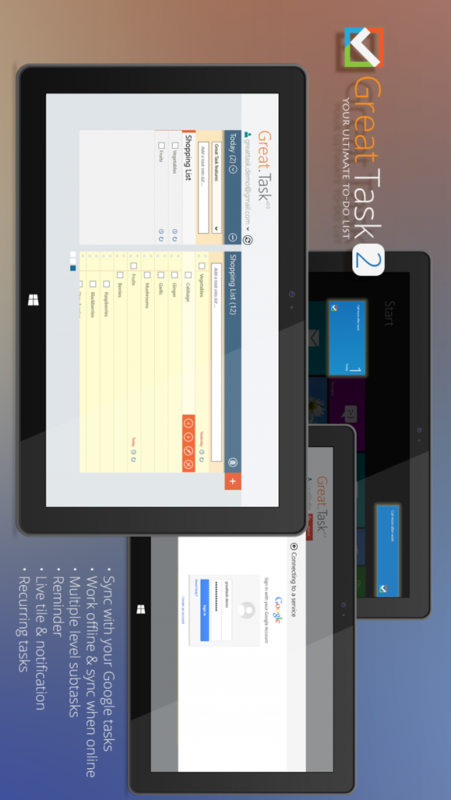 The new launch of version 2 available in Windows Store provides the ability to synchronize with the user’s Google tasks. Through a fine-tuned elegant and intuitive interface, Great Task provides a comprehensive solution for all sort of to-do management tasks. 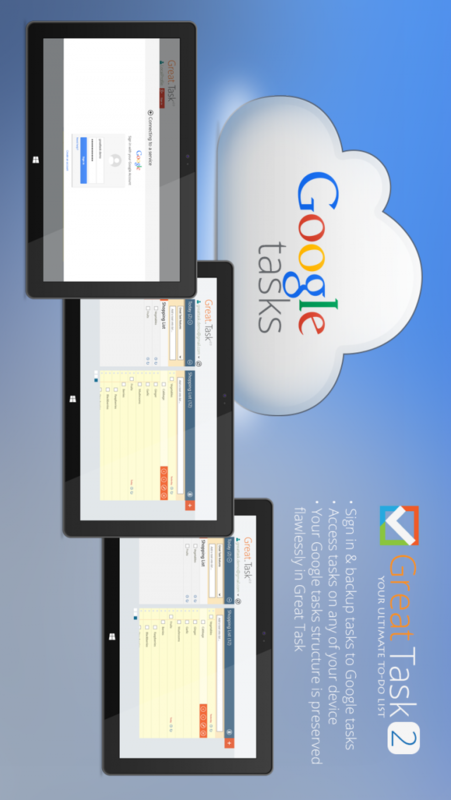 Once signed in with a Google account, Great Task is able to synchronize to-do lists with the user’s Google tasks smoothly, backup all local editions to the cloud, and, once needed, retrieve them back to any Windows device by signing in the same Google account in Great Task. And what is even better, Great Task supports dual profiles on each device, one is synchronized with Google tasks, the other one is local only profile (by default called the “Local Profile”). By putting task lists and tasks into the local only profile, they stay only on one device, and will not clutter user’s well-organized Google tasks account. 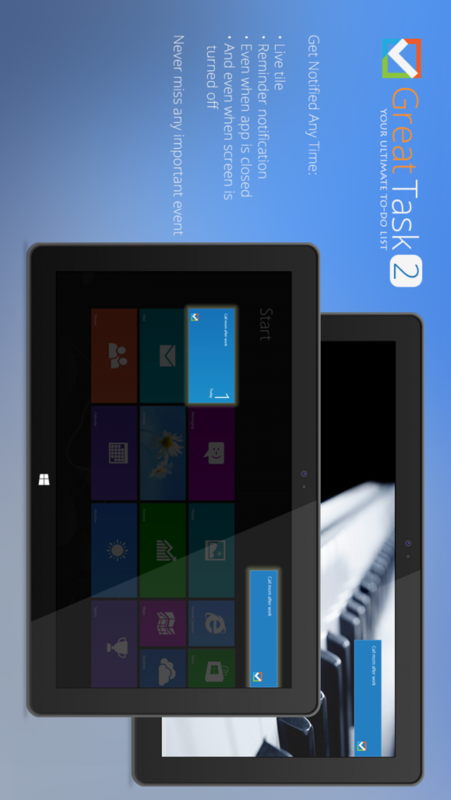 Great Task also leverage many of the cutting-edge Windows 8 capabilities. Live tile preview of today’s tasks, task notifications even when Great Task is closed, convenient snapped view support, sharing task list to other application like Mail or Facebook.